Fountainhead Commercial Capital’s CEO and founder Chris Hurn was recently named one of the Top Small Business Influencers of 2018 by FitSmallBusiness.com. 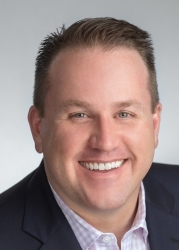 Orlando, FL, September 05, 2018 --(PR.com)-- Fountainhead Commercial Capital’s CEO and founder Chris Hurn was recently named one of the Top Small Business Influencers of 2018 by FitSmallBusiness.com. The website selected small business influencers with outstanding credentials, expertise, and skills pertaining to entrepreneurial success, as well as an impressive quantity of social media followers. Fountainhead specializes in SBA “504” loans as well as low loan-to-value commercial real estate loans for entrepreneurs. The list from FitSmallBusiness.com presented helpful business, management, and financial tips to small business owners right from the experts themselves. In his profile, Hurn discussed how a small business owner needs to make a plan to create long-term wealth as the owner of the business. ”I believe strongly in entrepreneurs owning their business’s real estate which creates an appreciating asset so that one day it will be a pay day for the owner,” said Hurn in the profile. FitSmallBusiness.com conducts extensive research including trying out products, talking to business owners and interviewing industry experts. The topics research include marketing, sales, finance, accounting and human resources. The site’s buyer's guides, “how to” explainers and product reviews fill in the gaps on what business owners need to know. To view the other Top Small Business Influencers of 2018 and read the rest of Hurn’s profile, visit https://fitsmallbusiness.com/reviews/lenders/#influencers.